Acne Face & Body Scrub is rated 4.5 out of 5 by 2. 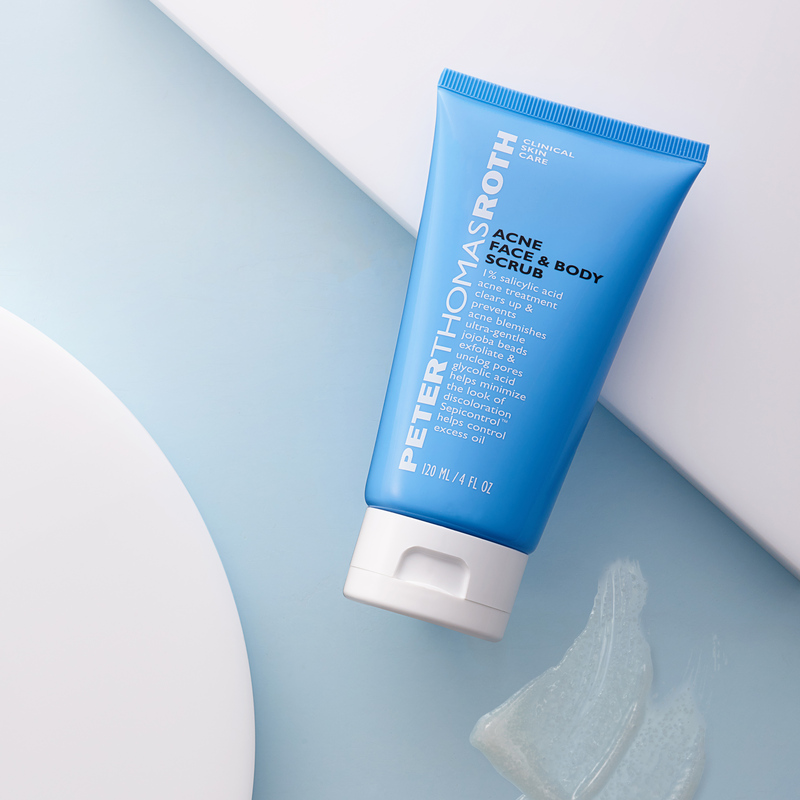 An ultra-gentle yet effective acne scrub that cleanses and treats without over drying the face and body. 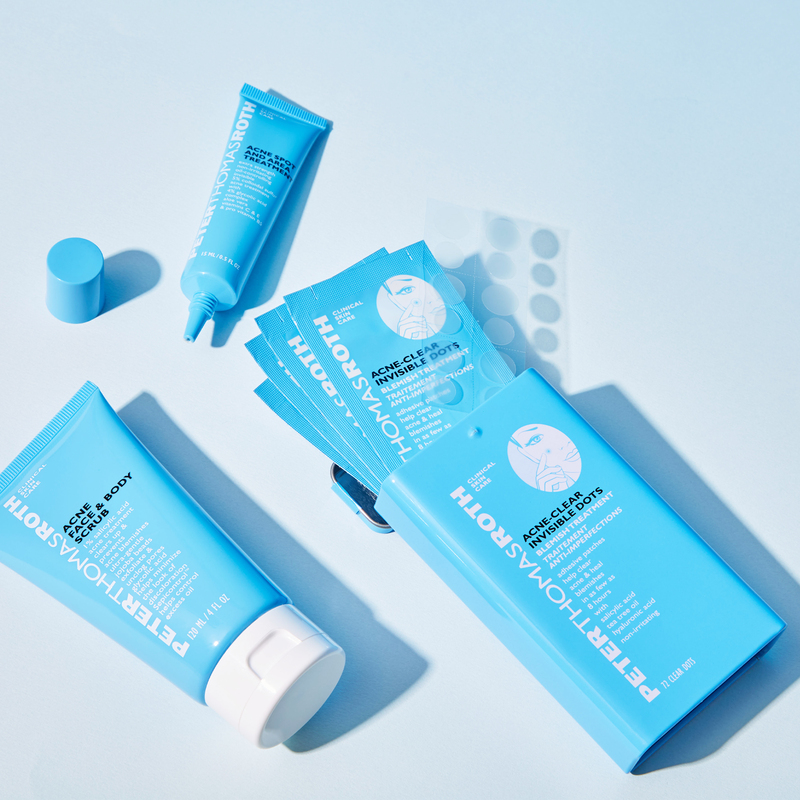 1% Salicylic Acid clears up acne blemishes and prevents future breakouts while Sepicontrol™ Complex helps absorb and control oil to balance skin. Soft, ultra-fine Jojoba Beads gently exfoliate to help unclog pores, emulsify oil, and allow acne treatment products to absorb better. 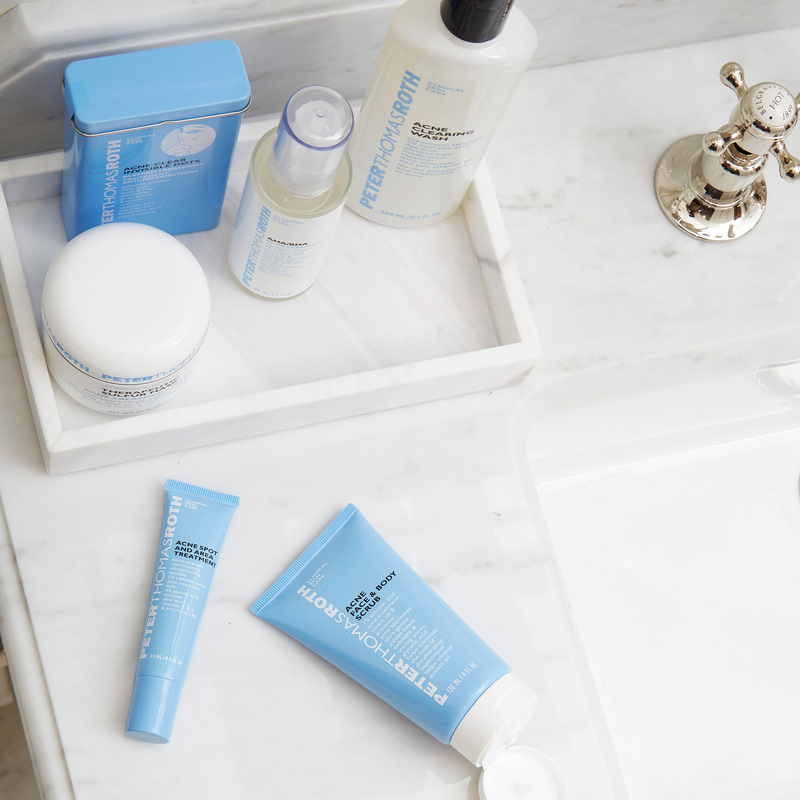 Glycolic Acid Complex helps reduce the look of discoloration for flawless, clear-looking skin. OTC-level, clears up, treats and prevents acne and blackheads. Tiny, natural beads help gently and manually exfoliate and unclog pores, and dissolve safely for the environment. Rated 5 out of 5 by BD811 from Love this scrub! This is a great product to keep in your gym bag or just to use after exercise or being active. Your skin feels nice and clean and it isn't drying at all. Great product! Is this the same formula as the blemish buffing beads ? If not what&rsquo;s different ? Dear Emma0, This is a formula difference between both products. Here are the ingredients for your reference - BLEMISH BUFFING BEADS INGREDIENTS: Active Ingredients Salicylic Acid 1% ... Purpose Acne Medication Inactive Ingredients: Water (Aqua), Hydrogenated Jojoba Oil, Sodium C14-16 Olefin Sulfonate, Carbomer, Aloe Barbadensis Leaf Juice, Disodium Cocoamphodipropionate, Glycolic Acid, Arginine, Cinnamomum Zeylanicum Bark Extract, Allantoin, Disodium EDTA, Sarcosine, Capryloyl Glycine, Propylene Glycol, BHA, BHT, Diazolidinyl Urea, Methylparaben, Propylparaben, Yellow 5 (CI 19140), Fragrance. ACNE FACE AND BODY SCRUB INGREDIENTS: ALLANTOIN, ALOE BARBADENSIS LEAF JUICE, AMMONIUM HYDROXIDE, CAPRYLOYL GLYCINE, CARBOMER, CINNAMOMUM ZEYLANICUM BARK EXTRACT, DISODIUM COCOAMPHODIPROPIONATE, DISODIUM EDTA, EDTA, FRAGRANCE/PARFUM, GLYCOLIC ACID, HEXYLENE GLYCOL, HYDROGENATED JOJOBA OIL, LIMONENE, LINALOOL, MALTODEXTRIN, PHENOXYETHANOL, POTASSIUM SORBATE, SARCOSINE, SODIUM BENZOATE, SODIUM C14-16 OLEFIN SULFONATE, SODIUM HYDROXIDE, WATER/AQUA/EAU. What happened to PTR Blemish Buffing Beads? Dear Mars, We regret to inform you that this product is discontinued and no longer available for purchase. We apologize for the inconvenience. If you&rsquo;re looking for a similar product, consider trying Acne Face &amp; Body Scrubs.